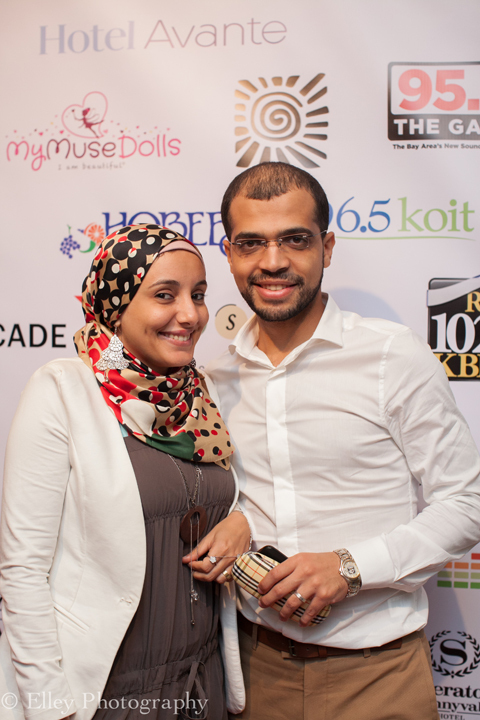 The best film festival that I went to this year in the South Bay was the sixth annual Silicon Valley African Film Festival, which focuses on screening films from the Continent. I enjoyed a few films on Sunday, then enjoyed the great West African food that was accompanied by the African Marketplace at the venue, the Community School of Music and Arts in Mountain View. I invite all of you to attend next year in mid-October, but until then here is the founder and director, Chike Nwoffiah, in his own words, describing the experience that he intends to create. M.O.I. JR: Can you tell us how did the Silicon Valley African Film Festival start? When? Chike Nwoffiah: SVAFF started out of my personal experiences as an African immigrant in the United States. I was shocked and alarmed at the level of ignorance and misconceptions about the African continent that I encountered on a regular basis. People’s understanding of Africa was limited to the Tarzan narratives of Africa as backward, untamed and uncivilized. Those who thought they knew better, at best, saw Africa as a “country” with starving children and a people ravaged by disease and war. This was not the Africa that I grew up in and knew. It was obvious to me that these perceptions came out of slanted narratives of Africa as presented by people that were several degrees removed from the continent and appeared to push an agenda of minimizing Africa, its people and their way of life. In 1999 I travelled to Burkina Faso to screen one of my films at the biggest film festival on the African continent – FESPACO. While at FESPACO, I witnessed a celebration of Africa in film as thousands of filmmakers and enthusiasts from all over the world converged in this small West African country. The beauty and diversity of expressions by Africa’s seasoned and emerging filmmakers was breathtaking. 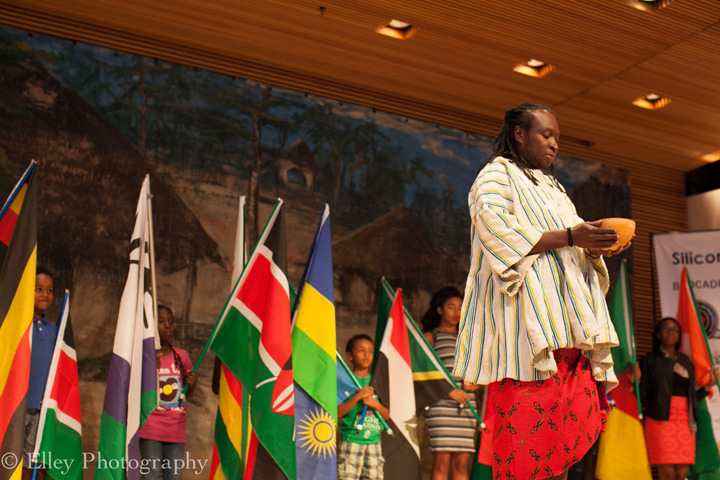 This was indeed Africa through African lenses, and it was clear to me that this was a way to reclaim our identity. I left Burkina Faso with a clarity of purpose – to bring Africa to my Bay Area community through the lenses of African storytellers. I felt that if I could create a platform for African storytellers to tell Africa’s story through their own lenses, perhaps we can engage our community in a new conversation about Africa and hopefully begin to reframe the narrative. 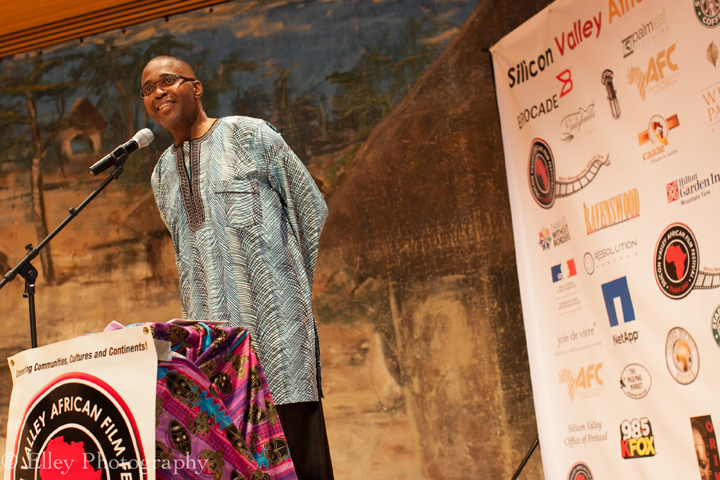 In October of 2010, I curated the first Silicon Valley African Film Festival and this was the birth of the annual Silicon Valley African Film Festival that celebrated its sixth year in October 2015. M.O.I. JR: Why is changing the image of Africa and African people important to you and Black people in general? Chike Nwoffiah: Africa is still misunderstood outside its borders. Historically, distortions have led to blurred interpretations and blurred perceptions of Africa, its people and their way of life. When the dominant narrative of a people is negative, it eats away their collective spirit and sense of self. For far too long Africa’s narrative has been constructed, packaged and distributed by those who are far removed from the continent. Hence the images we see in the Western media of Africa and Africans have been filled with stereotypes of an Africa that is always on its knees, begging for aid, where there is nothing but wildlife and poverty. This myopic view of Africa needs to be changed so that Africa can take its deserved seat at the global table of economics and politics as equal partners. The bigger implication of a “depressed African narrative” is that Africans in diaspora do not look to their ancestral homeland with pride and have no motivation to claim their heritage and connect with it. The result is a diaspora community that has to wrestle with a low sense of self and a disconnection from their source of strength and power, thus a weakened diaspora. When we take control of our stories and change the narrative to a more affirming one as told through our own lenses, we awaken the spirit of ancestral pride and dignity. Our children can walk tall and proud of their ancestry and heritage, knowing that they can achieve great things – not in spite of but because of their African heritage. M.O.I. JR: Why is it important to control our own image? Why is it important for us to tell our own stories? Chike Nwoffiah: As the saying goes, “Until the lion learns to speak, the tale of the hunt will always glorify the hunter.” With new technologies that have now made the tools of storytelling and distribution affordable, we must take advantage of every opportunity we have to tell our own stories. We must reclaim our stories and reframe the narrative to reflect our true African proud heritage and rich legacy. It is only when we boldly tell our stories that the rest of the world will listen and recognize us as the custodians of earth’s wisdom and strength. The stories we tell today will be the mirror through which our children will see themselves – so we must tell it! M.O.I. JR: What countries were represented in this year’s African Film Festival? M.O.I. JR: Can you tell us a little bit about the opening night film and the closing night film? Why did you pick them to open up and close the festival? Chike Nwoffiah: Our opening night film was “L’oeil du cyclone” (“Eye of the Storm”), a powerful award winning feature length film from Burkina Faso, brilliantly directed by Sekou Traore. This is a 2015 film that played to critical acclaim at the 2015 FESPACO, where it won top awards, including best feature film, best actor and best actress. In selecting this film to open SVAFF 2015, we wanted to present our audience with a tour de force that will showcase African filmmaking at a very high level. The production quality, writing, directing and acting in this film is very strong and the story very relevant at this moment in world history. It was an easy choice for us and we are happy with the response from our audience, many of whom have continued to ask where they can get copies of the film. For our closing film, we went with a lighter note theme: an animation, “The Legacy of Rubies” by Ebele Okoye (Nigeria), and a short documentary, “The Africa We Know” by an Eritrean student filmmaker, Gessye Ginelle Safou-Mat. M.O.I. JR: Who were some of the filmmakers who attended? M.O.I. JR: What do you hope people ultimately get from the festival? Chike Nwoffiah: I believe that creativity is the rich and transformational intersection point of arts, science and technology. From film screenings to food, entertainment, African marketplace, dialogue with filmmakers, Innovate Africa Technology forum, etc., our entire festival weekend is designed as a showcase and connectivity platform for Africa and Silicon Valley creators, innovators and audiences. Our audience profile cuts across the race, ethnic, age and class divide. However, our primary audience base is the African American and immigrant African communities. People come to our film festival for a variety of reasons. Some come to spiritually connect with their ancestry or to study the African culture as expressed in moving images – or just to have fun. Whatever the motivation for attending is, one thing we guarantee is that they will leave the experience with a deeper appreciation of Africa and Africans. M.O.I. JR: What is the date and location for next year’s Silicon Valley African Film Festival? Chike Nwoffiah: The seventh annual Silicon Valley African Film Festival (SVAFF) will be held on Oct. 14-16, 2016, at the Community School of Music and Arts, 230 San Antonio Circle, Mountain View, Calif. 94040. M.O.I. JR: How could people keep in touch with you online? Chike Nwoffiah: We encourage people to call us with questions at 415-774-6787, email us at office@svaff.org, visit our website at www.svaff.org, like us on Facebook at facebook.com/svafilmfest and follow us on Twitter at @svaff for updates on other programs we have throughout the year. I was there once. It was so fantastic festival! Wish could be there again next time! Enjoyable post. Thanks for share. Nice cool work keep it up.